TAPLEJUNG, Aug 20: A team of Chinese medicine producers from Sichuan have visited cardamom farms and marketplaces in the eastern districts of Nepal, showing interest to import cardamom from Nepal. The team led by Li Yu, chairman of Chinese Medicine Association, visited cardamom farms in Taplejung district on Saturday and marketplaces in Birtamode of Jhapa district on Sunday. They observed the farms at Sherpatol in Fungling Bazar of Taplejung. The team also discussed with traders and farmers in Jhapa about the prospects and features of Nepali cardamom. “They took samples of cardamom from the market and farm, and told Nepali traders that they will test the cardamom in their labs before taking decision about placing orders,” Nepali traders said. The interest of the traders and industrialists of the northern neighbor in Nepal’s cardamom, which is largely sold to India at very low prices, has made Nepali farmers hopeful of getting better rates for their produce. Chairman of the Federation of Cardamom Traders, Nirmal Bhattarai, who was one of the participants in the discussion with the Chinese team, said that the team took stock of the complete cycle of cardamom -- from production to supply. Bhattarai said that the Chinese team was interested in Nepali cardamom despite the fact that its price kept fluctuating. The price of this high-end spice has fallen by about 75 percent to Rs 22,000 per 40 kg in the last four years. The Chinese delegates focused on assessing the quality, scale of production, supply chain, and the medicinal properties of cardamom. “Nepali cardamom differs from Chinese cardamom in that the former is smaller in size and red in color, while the latter is more rounded in shape and white in color,” Bhattarai quoted Yu as saying. Yu has said that they will first test the samples of Nepali cardamom in their labs in China and decide to import if it was found to have high medicinal value, according to Bhattarai. 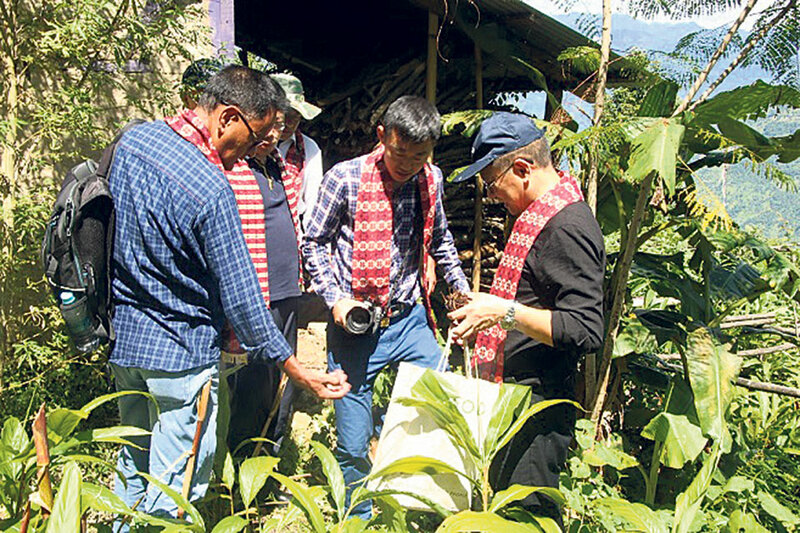 Balmani Baral, chairman of Cardamom Farmers’ Association in Taplejung, said that the foreign team was interested in knowing different aspects of cardamom farming, such as production, quality, and market. Lately, farmers have been complaining of having their confidence dampened due to fall in the price of cardamom, which is one of top five products fetching foreign currency into the country.